EXIT plemenu se pridružuje jedan od najvećih bendova u istoriji popularne muzike The Cure! Next year we are gathering in one big tribe in a joint mission to preserve life on planet! EXIT Tribe is joined by one of the biggest bands in the history of popular music - The Cure, who will perform on July 4th at our fortress! Get ready, tickets are on sale now! 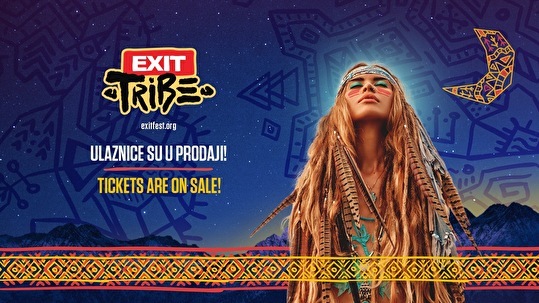 After EXIT celebrated 50th anniversary of Summer of Love in 1967 and the revolutionary "hippie" movement that changed the world forever in 2017 and celebrated ideal of personal freedom in 2018, EXIT is sending an invitation to the members of its tribe from over 70 countries in the world for a new gathering in 2019! This invitation is not only for the best party on the planet and the tribal dance among the walls of one of the largest fortresses in Europe. As always, it has a strong idea of social change and this time it is about environmental protection. EXIT Tribe 2019 will invite its fans, as well as influential individuals of the world, artists, athletes and other public personalities, numerous movements and organizations, to unite with a clear goal – to protect the planet and all life on it!